Good morning, and Happy Hump Day! It’s officially the middle of finals week and I hope everyone is surviving. For those of you who celebrated Cinco de Mayo, I envy you. Just kidding but if I were able to have a marg with some chips and salsa, how perfect would this dress have been with the neon Kendra Scott earrings? I love the pattern and the open shoulders of the dress; this would be perfect as a date night dress or even to wear to a graduation party. Get it while its still available at Rodeo Boutique. Ps: As you know, I am leaving in a couple weeks to live in New York for the summer for an internship. 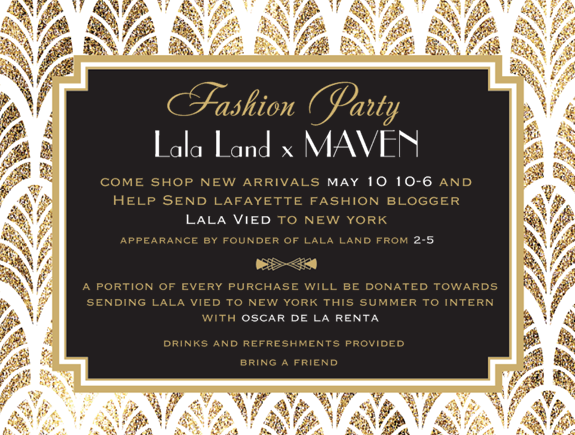 If you are in the Lafayette area this Saturday, May 10, stop by Maven Womenswear and Agave downtown. 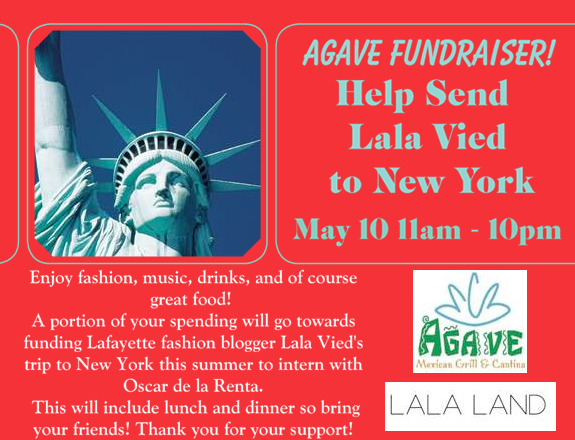 They are donating a portion of the day’s profits towards sending me to New York! Hope to see you there. Postcards are listed below with details about the events.